Tear the lettuce leaves into bite-sized pieces. 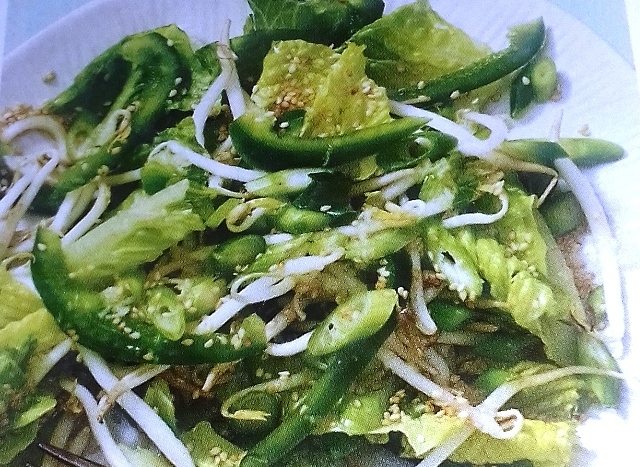 Put the lettuce, bean sprouts, spring onions, and pepper into a salad bowl and mix together. 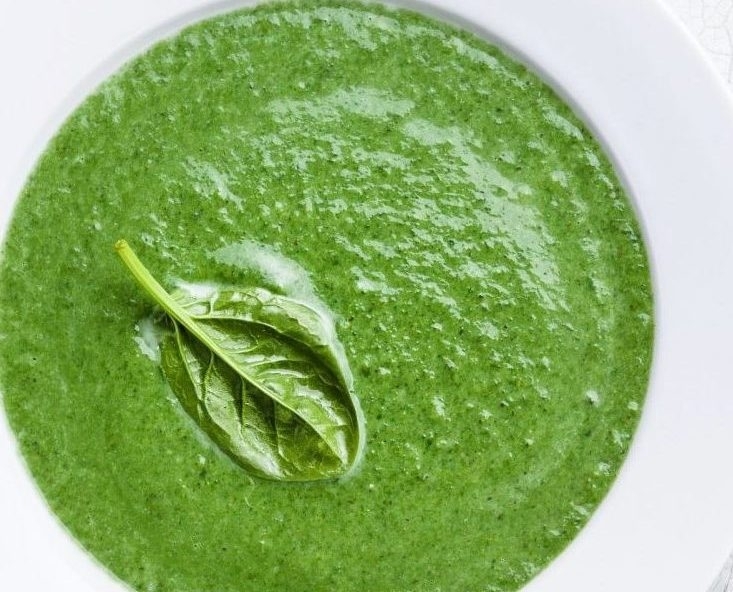 Make the dressing: combine the oils, vinegar, garlic, and ginger, and season to taste with sugar, salt, and pepper. 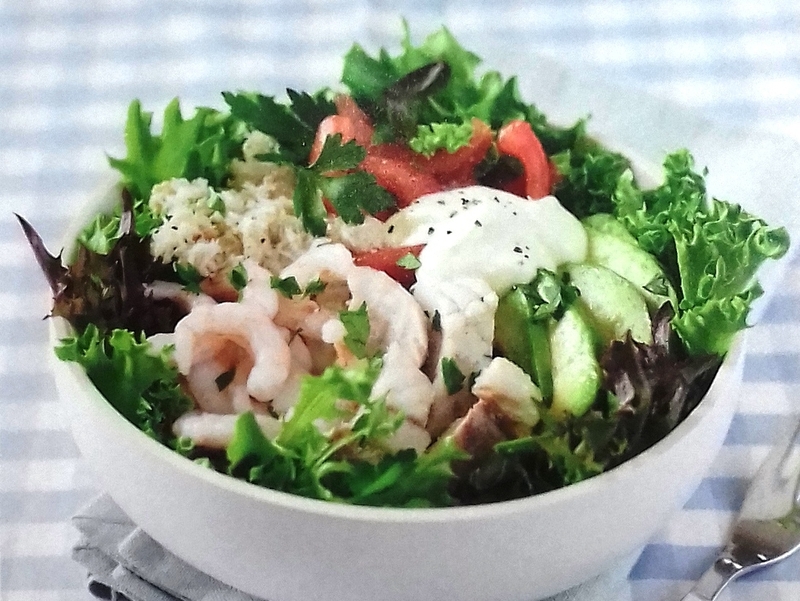 Toss the salad with the dressing, sprinkle with the sesame seeds, and serve.